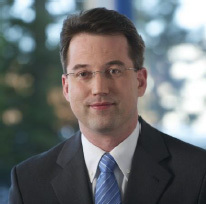 Roman Bender studied chemistry at the Justus Liebig University in Giessen from 1992 to 1997. After having received his diploma he joined the Karl Winnacker Institute of DECHEMA (since 2013 DECHEMA-Forschungsinstitut) in Frankfurt (Main) as a research associate. Since 2000, he is head of the group 'materials and corrosion' at the DECHEMA and editor-in-chief of the world's largest corrosion data collection, the DECHEMA-Werkstoff-Tabelle (DWT), and the DECHEMA Corrosion Handbook, an English-language compendium based on the DWT. He received his doctorate in natural sciences in 2001 from the Technical University of Aachen (RWTH Aachen). The title of his doctoral thesis is "The Role of Alloying Elements in Metallic Materials for Corrosion Resistance in Chloridising Atmospheres at High Temperatures in order to Prolong Component Lifetimes" (in German). In 2008, Roman Bender was appointed chief executive officer of the GfKORR - The Society for Corrosion Protection.